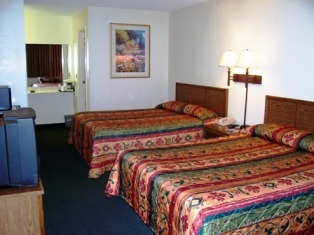 At the Woodland Inn & Suites we have the Big City amenities with an Old Fashion charm. We Pride ourselves on our customer service. We will make sure that your every need is met with a smile. 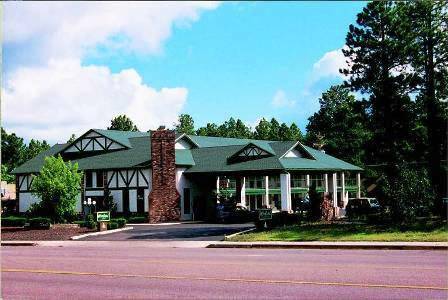 The Woodland Inn & Suites is nestled among the largest stand of Ponderosa Pines in the US. 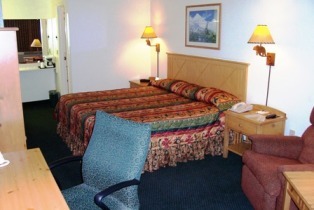 Our Hotel is conveniently located in the center of Pinetop/Lakeside. Close to shopping and entertainment. 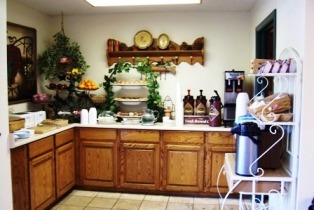 Included in your stay is a Full & Complimentary Hot Breakfast Bar. Every afternoon enjoy Fresh Baked cookies seasonal refreshments. Every Tuesday & Thursday from 5:00 PM to 7:00 PM join us for our Hospitality Hour. 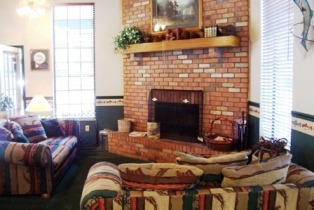 Come sit by the Lobby Fireplace and warm up after a day of skiing, hiking or to just sit and read the paper or a book. You can also relax in our cozy, sparkling indoor Spa. So whatever the occasion, Why not stay with someone who cares. The Woodland Inn & Suites, your home away from home. King Mini Suite: Comfortable King Bed, Work Desk w/office chair, recliner, 27" digital stereo television w/HBO, ESPN, CNN, microwave/refrigerator, in-room coffee maker, iron/board, hair dryer, 2 telephones, clock-radio, and complimentary in room High-Speed Wireless Internet. Double Queens: Two comfortable Queen Beds, table/chairs, 27" stereo television w/ HBO, ESPN, CNN, microwave/refrigerator, in-room coffee maker, iron/board, hair dryer, telephone, clock-radio, and complimentary in room High-Speed Wireless Internet. 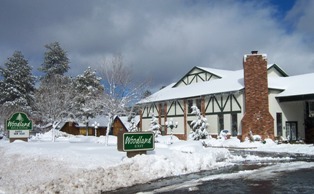 Pinetop's Better Lodging Experience, the Woodland Inn & Suites, Located in Pinetop, Arizona at an elevation of 7, 200 feet nestled in the worlds largest stand of Ponderosa Pines here in eastern Arizona's White Mountains, is known for its clean air, clear skies, and acres of green forests, refreshing lakes and streams. In addition to a variety of outdoor activities, including fishing, golfing, hiking, hunting, mountain biking and more, our mountain community has a variety of activities to entertain any visitor. Sunrise Ski Park is a recreational paradise offering a wide range of fun and excitement. With 3 mountains of skiing and 65 downhill runs, the ski park promises an adventure for skiers of any level. There is also a separate snowboarding area, cross country trails and children's ski area. Whether you seek adventure or prefer a relaxing day in the mountain air, Pinetop and the surrounding White Mountain communities are the place to be. From Show Low; Take Hwy 260 South through Wagon Wheel, Lakeside, to Pinetop. We are on East side of the Highway. Shuttle bus from Phoenix Airport to the White Mountains. Commuter flight from Phoenix to Show Low Airport. Complimentary Pickup service to Motel. Local bus and taxi service.